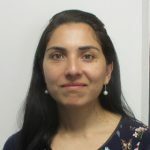 Kalsoom is a proactive and creative researcher with a background in chronic disease research (i.e. diabetes). The main areas of Kalsoom’s interests relate to her experiences in conducting and managing psychosocial and behavioural research and interventions.